A project without any problems? Dream on! The most current issues in projects are deadlines, performance, costs and quality. How to resolve them? Our Projectina definitely has a problem and would like to get rid of it. But for this, she needs Dontsellus to sell it to the client. 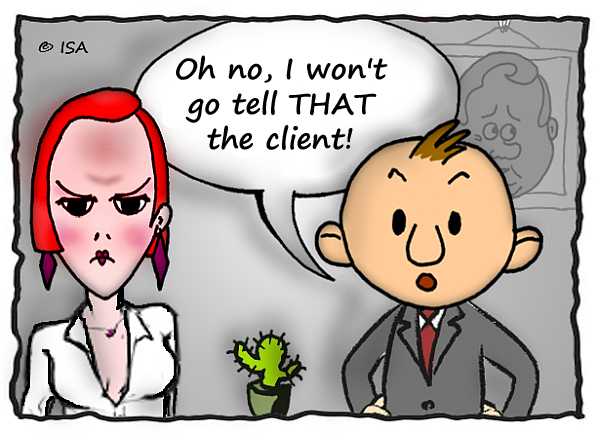 Projectina is sitting in her office with Dontsellus, key account manager at Hotair Ltd, brooding over a problem. Dontsellus: „I have another meeting now. Arrange an appointment, I’ll come with you.“ Stands up and rushes out. As a project nearly always dives into unknown waters, problems can pop up again and again. Something we didn’t think of or couldn’t know before. That’s why a good problem management is so important for your project. 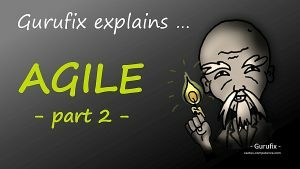 So, what issues are we facing in projects? Deadlines, performance, costs and quality are the main dimensions. Your client or your boss want you to increase the quantity, somebody asks you to add some special effects, suddenly the time schedule changes and you need to terminate the project earlier than expected, etc. Oh, by the way, its not always somebody else we can blame, sometimes we ourself are causing our problems by not being focused or by procrastinating or even by “gold-plating”. However, technically speaking, nearly all and every problem can be solved with time or money. Besides, these methods work as good for projects as for any problem in your private life. In fact, these are 2 things I combined to simplify matters. You’ll understand why when reading on. Fast-tracking is about executing tasks in parallel that were initially planned to be executed consecutively (one after the other). You’ll have a look at your project time schedule, the interdependencies of tasks and the workload of your team members to check whether there are tasks that perhaps can be moved up. In the real world, this means to do overtime for everybody. That’s why “work harder” fits better here. Suppose you want to prepare a tea and then empty the bin. Normally, you would plan to do these tasks one after the other. But today, you are late and so you need to do fast-tracking. You fill the kettle, turn it on and instead of waiting for the water to boil and chatting on your smart-phone, you rush to take the trash out and you’re just back on time to infuse your tea with the boiling water. See? This is fast-tracking. Not very relaxing, isn’t it? Don’t overload yourself nor your team. If you want your team to deliver a constantly good performance, you better give them and yourself a breather from time to time. So, don’t overdo! Multitasking is NOT fast-tracking. When fast-tracking you do one task per time unit. Multitasking is the attempt to do multiple things in the same time. Multitasking doesn’t work and the repair and restoring work behind will cost you time instead of saving it. Keep in mind that the effort for the coordination of project tasks will increase as you need to supervise much more tasks in the same time. Check first if method 3 couldn’t help you to get you to your destination! Again I combine 2 things as they go so well together. By “throwing money on a problem” you can speed up your time schedule, this is called crashing. In project management, you can solve nearly all problems with money (I know, not all problems of the world, but here we are talking about project management only). Let’s have a look at crashing first. 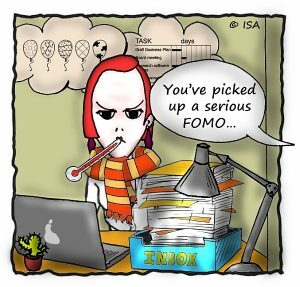 You and your team are completely snowed under so fast-tracking is no option. Then perhaps crashing could be the solution. Crashing means to check whether parts of the time schedule can be done faster by spending more money. For example, you could outsource a part of the tasks to a sub-contractor and so move up some of the tasks or shorten the time they need to get done. Or you could cough up a few bucks and let your team work over the weekend. This method also works in private life. If your problem is that you don’t have the time to mow the lawn of your yard, then you could for example ask the neighbour’s boy to do it for some pocket money. This too is “throwing money on a problem”. When delegating tasks to externals, task and wished result need to be defined very clearly. Because if the result doesn’t meet your expectations you would have poured the money down the drain and your problem persists. Here too, the effort for you as project manager will increase because you now have to manage a bigger team with additional sub-contractors. Crashing cannot be implemented overnight. It needs time for preparation, for example you’ll need preliminary supplier selection etc. If you don’t have the time for this, your sole option is method 3. Make sure to actually solve the problem with your money; don’t just band-aid wounds. “What? Cut off? You’re serious? Vilfredo Pareto has proven it: “For many events, roughly 80% of the effects come from 20% of the causes”. Based on these findings, you can confidently act on the assumption that there are massive time-wasters hidden in your project time schedule. The difficulty consists in finding them. Get your team involved in this task and do a brainstorming. Does this task really contribute to the value of the project’s result, or is it just there because we want to do someone a favour? What would happen if we would NOT do this task at all? 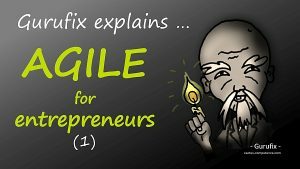 If we had only half of the time for this task/ this deliverable, how would we do it? Do really ALL of us need to participate in this meeting with the client in the 500 km away Stuttgart? Saved time per non-participating person: 3 days! Do we really need to do ALL these meetings on site at the headquarters offices? Or could we do some of them per e-mail, Skype or chat to spare the remote team members the travel time? Are ALL these 50 project key figures really needed to be compiled manually by the project manager? Could we automate gathering some of them? Or could the CFO even survive with just 10 of them? With point 1 alone you could win one or two weeks working time. And point 3 will save you some days over the entire project duration. And it was only in the project plan because the CFO wasn’t able to decide which key figures he would like to see. When I showed him the problem quite plainly, he was immediately willing to do without some of the figures. Try not to throw out the baby with the bath water. Some tasks and deliverables are actually needed and you should treat them at full length as planned initially. It would be best to implement this method in the very beginning of the project. Keep always in mind that cutting off tasks can increase the risks in your project. So never forget to do a solid risk management planning. How do you deal with problems? What is your best problem solving method? Are you the classic manager or career woman and your standard answer is: “Work harder”? Or are you so lucky to have a massive budget to throw money on the problems as soon as they pop up? Personally, my favourite is method #3 because with this method I can solve 3 problems in the same time. Firstly, I remove a task which costs me time. Secondly, it removes the risk that was connected to this task. And thirdly, it reduces the complexity of the project. For more about problem solving, read our blog post San Gen Shugi – Problem Solving in Japanese! The 3 reals Toyota approach to problem solving. 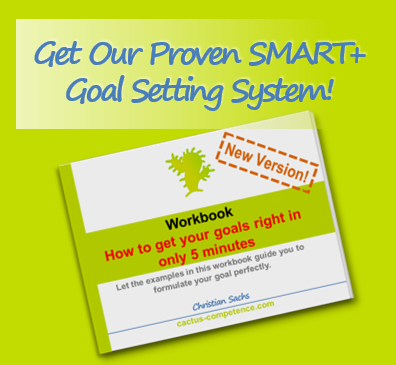 Do you know our SMART+ Goal Setting Guide already? 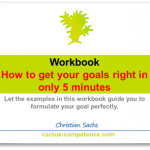 This workbook will guide you to a perfectly formulated goal within 5 minutes.